Storms and wind all over the place Are things looking up? Early in 2015 I was looking for to upgrade my ageing Penn and Abu beach multiplier reels. After much searching I bought a brand new Akios s- line 656 CTM right handed multiplier which I wrote about on Fishing Tails here. 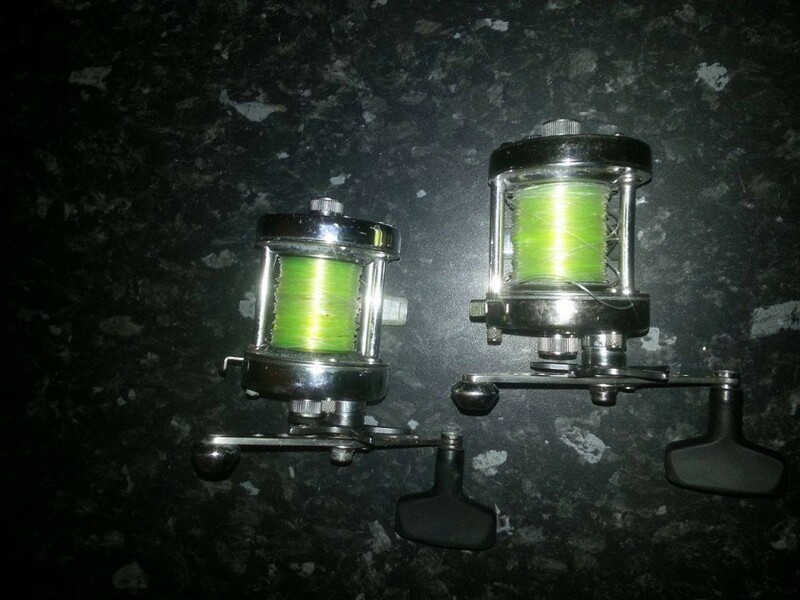 I was so impressed with its performance I bought another identical second hand reel to accompany it on my other rod. My budget for new reel was around £100 so my options were limited, but for the price it seemed to tick all the boxes. It’s approximately the same size as a Penn 525 mag and holding a good capacity of 300 yards of 15lb line. 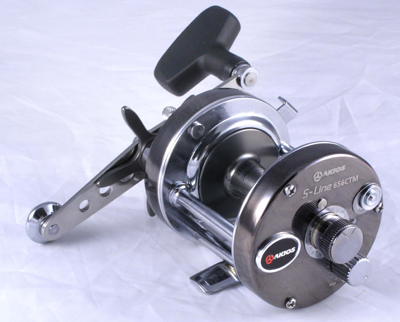 The 656 ctm is an open cage reel, i.e. it has no level wind or support bar which means you can get a good grip on the spool with your thumb. when casting! Chrome plated brass side plates and stainless handle help for resilience to the harsh beach conditions. The main selling point for me though was the casting control which includes left and right spool float control along with Magnetic and Centrifugal braking which combined offers me the ability to cast as far as I can in any conditions with minimal bird nests. Fast forward nearly a year of hard fishing in many locations under all sorts of conditions and both reels are still going strong! I make no excuses for my casting style, self taught pendulum has catastrophe written all over it, but despite that I can only remember one birds nest where I really fluffed up on a power cast. Testament to how forgiving this reel can be with adjustment to the magnet controls to suit conditions. The ratchet/line out alarm is on a par with the Penn 525, and has given me a heart attack on more than one occasion with a fish screaming off in the darkness of night. It is very loud , but I prefer it that way! In terms of power this reel has handled them all reeling in tiddlers scratching at Southbourne to landing double figure smoothhound and rays in the Solent. Its smooth clutch and effortless winding make it a joy to use. So far these reels have done all that was required of them, even the second hand one I bought! The second hand one is showing slight signs of weathering as the aluminium spool has started to fizz a little . However this may be more down to neglect on my part as my reel care is not that great. A few dunks in the sea along with being regularly dropped onto the fine sand at Sandbanks with only the occasional splash of warm water is not an ideal maintenance schedule! If I had to find a fault with this reel it would be with the star drag as you really have to crank the drag up when reeling a big fish in. Though that’s not the end of the world if the clutch is a little light when landing a trophy fish in the surf. If you shop around, for just over £100, you can get the tried and tested magnet system of a Penn 525 and the outside workings of an Ábu 6500 all wrapped in a neat package called Akios!! Excellent centrifugal and magnetic braking system is very forgiving in all conditions. No level winder means less drag and faster spool speeds. Aluminium components can suffer from corrosion if not looked after. Star drag can sometimes feel a bit light. There are many greater quality and all singing and dancing reels out there on the market but they come at a price! For those seeking a quality workhorse on a budget or even looking for a bargain I would look no further than the Akios CTM range. 6 Responses to "Akios 656 CTM Reel review"
If you casting style is not up to scratch perhaps we should meet !!!!!! Grate reels, I’ve got the Shuttle personally and when funds allow I will have a second. I am new to multipliers but love the control the Akios offers. 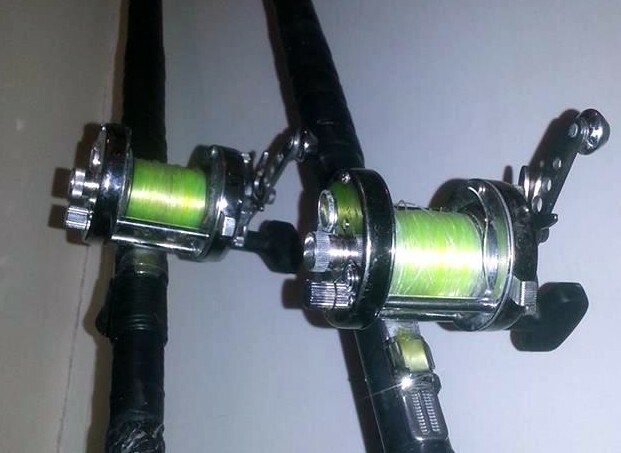 And with great people like Jamie over at PMR in pool you can even put a few upgrades on your reel as and when you want to make a good reel even better. What’s happening at Akios? stockists have been waiting for ages for more reels. Good review that has answered all my questions. Thank you.